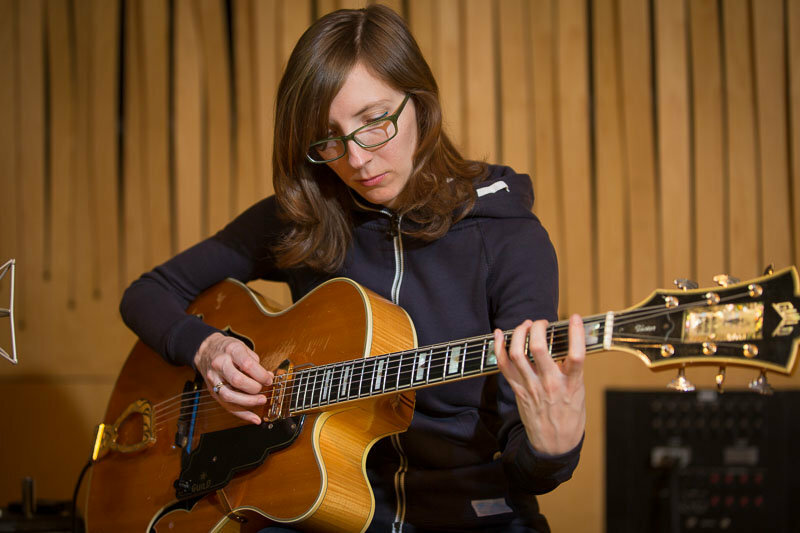 It would be sufficient for Mary Halvorson to just continue being an avant-jazz guitarist with broad influences and a distinctive style. She would stay busy and garner praise. But here, she steps up as a leader once again, this time with her biggest outfit yet. The lineup is identical to that of 2013’s Illusionary Sea, with the addition of Susan Alcorn on pedal steel guitar. The other contributors are Jonathan Finlayson on trumpet, Jon Irabagon on alto saxophone, Ingrid Laubrock on tenor saxophone, Jacob Garchik on trombone, John Hébert on bass, and Ches Smith on drums. 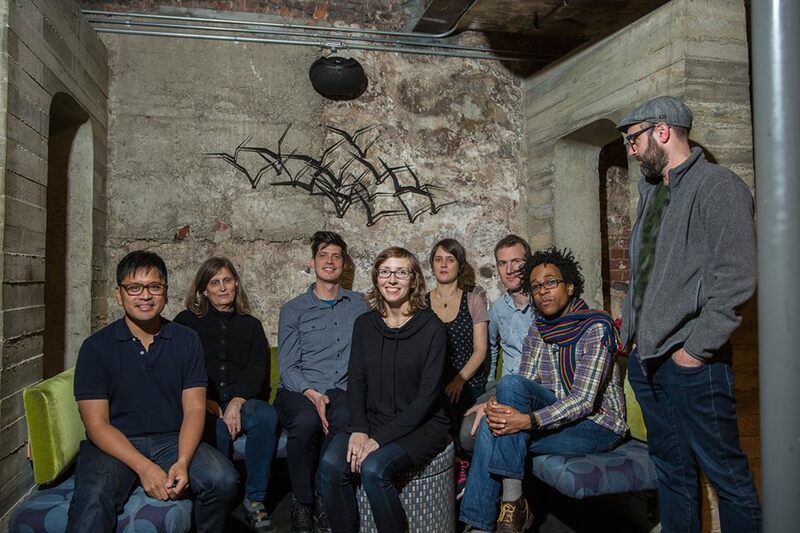 Under Halvorson’s deft guidance, the octet navigates eight labyrinthine compositions. With an ensemble of such size, it would be hard to categorize this as a guitarist’s solo album. Halvorson’s voice herein is just one among many, though it makes clear statements. But not unlike Illusionary Sea, as well as her other works for larger outfits, Away With You is a composers showcase. The horns roll off of one another in counterpoint over ominous 6-string picking and chording, with Alcorn providing atmospherics, and Hébert and Smith contributing a busy low end. Themes morph and adjust until all players join in free-form blowouts, then the themes reprise once again. 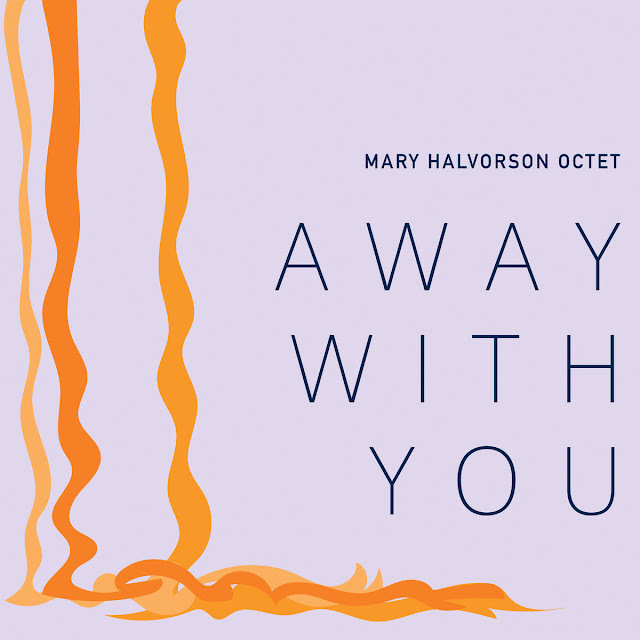 In some ways, Halvorson’s compositional style is as disjointed and prickly as her playing. Channeling her inner Braxton, she makes sharp left turns when the listener is expecting straight lines, while leading the octet through dense non-linearities. On the other hand, her use of space is masterfully delicate, building tension for the inevitable chaotic release. As noted above, guitar sometimes takes a primary role. However, this not to the exclusion of the other instruments. Duets between Alcorn and Halvorson are particular compelling, though taking up only bits and pieces of the album. Hébert also provides a long, powerful solo break. But Away With You is at its best when all eight players are working through complex charts, and soloing around the edges. The result is nothing short of exhilarating.